Can a Pediatric Neuropsychological Assessment Help my Child? 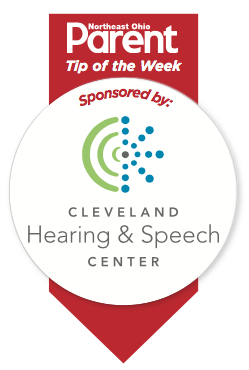 Cleveland Hearing & Speech Center offers pediatric neuropsychological assessments for hearing, hard of hearing, and deaf clients ages 4-21. An assessment helps families and schools understand a child’s learning strengths and weaknesses so they can better access needed intervention to help a child meet his/her potential. Pediatric neuropsychology is a specialty within the field of psychology. Children are evaluated using standardized tests that might include communication skills, visual functioning, or paper and pencil work. Tests are all non-invasive; there is nothing physically painful and many children actually enjoy completing the tests and the time spent with the neuropsychologist. What do the tests assess – and do results lead to a diagnosis? Evaluations are comprehensive cognitive assessments that are designed to meet an individual child’s needs. A child’s thinking, attention and organization skills, memory and learning, speech/language, visual-spatial skill, academic development, and emotional/behavioral functioning may all be assessed. In some cases, a diagnosis, such as a learning disability (e.g., dyslexia, specific learning disability in written expression, math, etc.) or ADHD is made; in other situations, findings from the evaluation do not point to a specific diagnosis, but recommendations for helping strengthen areas of weakness can still be made. The main goal at the neuropsychological assessment is to help access and guide the direction of intervention services and support. Evaluations will be conducted by Karen Paull, PhD. She earned her doctorate in Clinical Psychology, with a child and family subspecialty, from Loyola University Chicago in 1998. She then went on to complete a two-year postdoctoral fellowship in Pediatric Neuropsychology at Boston Children’s Hospital/Harvard Medical School, where half of her time was devoted to training at the Boston Center for Deaf and Hard of Hearing Children. This allowed Dr. Paull to develop a special skill set in the evaluation of individuals who are deaf or hard of hearing. She joined the staff at Cleveland Hearing & Speech Center in 2009. Will I be assured of working with Dr. Paull if I set up an appointment with her? Yes, all neuropsychological evaluations are completed directly by Dr. Paull. She will meet with you to gather background information and then will evaluate your child. Results will be explained to you during a feedback appointment, and a written report will follow; you may share this report with your child’s school, interventionists, and physicians if you wish. When should children be referred for a neuropsychological assessment? Will insurance pay for my child’s neuropsychological evaluation? In many cases, neuropsychological assessments are a covered service by insurance, but this can vary with the reason for referral and the insurance carrier. Dr. Paull is in network for some, but not all, insurance plans. Before we arrange an appointment with your child, our administrative staff will call your insurance company to obtain information regarding your benefits. This way, if there will be any out of pocket costs, you will know in advance. For more information or to schedule an appointment, call 216-325-7570 (or the Community Video Phone at 216-370-7126).